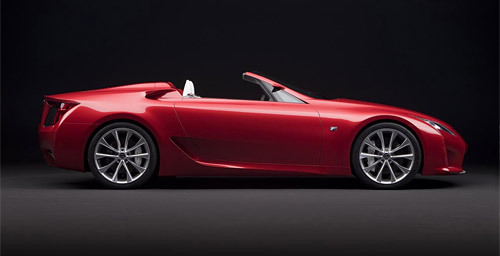 Feature: Is the Lexus LF-A really the new SC? Last week, when Edmund’s Inside Line blog printed a rumor that the production version of the Lexus LF-A could cost upwards of $225,000 USD, the backlash was instant and ruthless. Auto enthusiasts everywhere bristled at the idea that Lexus would be pitting their new supercar against the likes of Ferrari and Lamborghini. To be quite honest, it’s not difficult to see some merit to the criticism. After all, the competition in this price range are truly aspirational cars, the kind of machines that fuel childhood dreams. Up against that, the LF-A is a hard sell. What’s more, it’s impossible to ignore the appeal of exclusivity, and having to share a badge with a $30,000 entry class model doesn’t really mesh with that. Looking at the uphill battle facing Lexus selling a supercar, maybe it’s time to wonder about other motives. It could be that the brand wants to simply wants a halo car, but what if it’s something else entirely? What if that wasn’t the plan at all? Over the past few months, I’ve had a growing suspicion that the LF-A is actually the next SC sports coupe, and that the only way it would come close to $225,000 is with a fully loaded V10 SC-F. If the F-Performance line is to follow the path set by BMW’s M Series and Mercedes’ AMG division, it stands to reason that the LF-A concept is actually a performance modified version of a regular vehicle, rather than something that stands on its own. With that in mind (and barring the possibility of a new, non-F coupe), there’s only one car in the lineup that has two doors, is offered as a convertible, and most importantly, in serious need of an extensive revamp. That vehicle, of course, is the SC. Now in its eighth year of production, the current SC is the oldest model in the Lexus lineup. The previous SC also lasted eight years, so it’s probably safe to assume that a new version is in some stage of development. The only issue with this is the lack of a possible next-gen SC concept. Lexus concepts are generally introduced two years before the model goes into production, and the idea that the current SC will be around for that much longer is hard to believe. 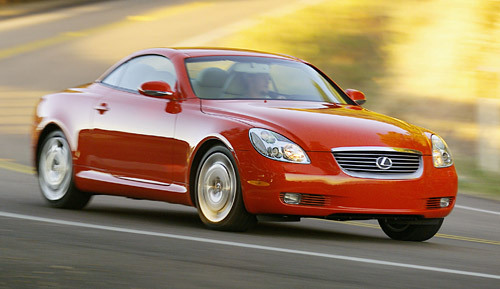 It’s true that there was a Lexus LF-C convertible concept introduced in 2004, but most of the design cues were included in the 2006 revamp of the IS, and would be entirely used up if the rumors of a IS coupe/convertible are true. Of course, there’s nothing to say that the next SC won’t have a much shorter concept-to-production window, but even the LF-A name adds weight to the idea. Up to this point, the LF characters have only been used during the concept stage, so it’s more than likely that the super car would be receiving a new name when it’s released. But why would Lexus invest so much into the development of a model replacement? Why would they continue to bring so much attention to the LF-A as a supercar, only to turn around and release it as anything less? 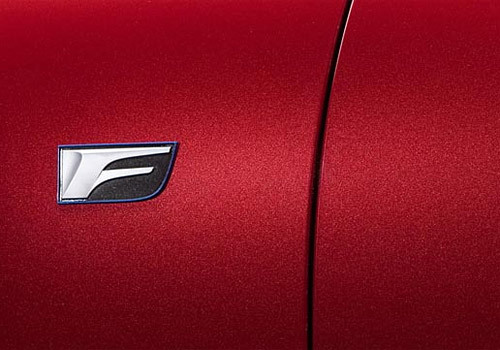 Therein lies the beauty of the new F Performance lineup. The LF-A currently racing around Nürburgring could exist as the SC-F, a supercar capable of competing with Ferrari F430s and Lamborghini Gallardos, while a lesser powered, less optimized version would be packaged up and sold as the new SC. The first generation SC, built between 1992-2000, could be regarded as an instant classic, featuring a revolutionary and very influential shape that aged well. On the other hand, time hasn’t been kind to the current SC, which has overstayed its welcome by a couple years. If you consider Lexus’ new focus on performance & sportiness, what should be the first car that springs to mind? The two year wait between concept and production is based on the LF-Sh to fourth generation LS, the LF-S to third generation GS, and the LF-Xh to the expected third generation RX in 2009/2010.